With the signing of the Constitution of Independence for Brazil in 1889 religious freedom was guaranteed to all the people of the country. As such, there is no official religion of Brazil but over 70% are Roman Catholic. Other religions include Protestants, Spiritualism, Jews, Muslims and Buddhists. Roman Catholicism took root in Brazil in the 16th century when Jesuit missionaries converted many of the natives. 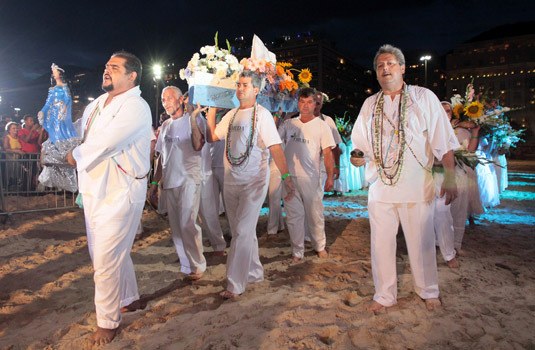 Catholicism in Rio de Janeiro is influence by Portuguese religious traditions as well as African and Indian worship practices. Pilgrimages to the National Shrine of Our Lady of Aparecida and religious festivals are popular means of religious celebrations. There are numerous Catholic churches throughout the city and mass is still celebrated on Sundays. The Metropolitan Cathedral of Rio de Janeiro is one of the most beautiful churches in the country, with large glass windows; funnel structured and is located near Carioca subway station. 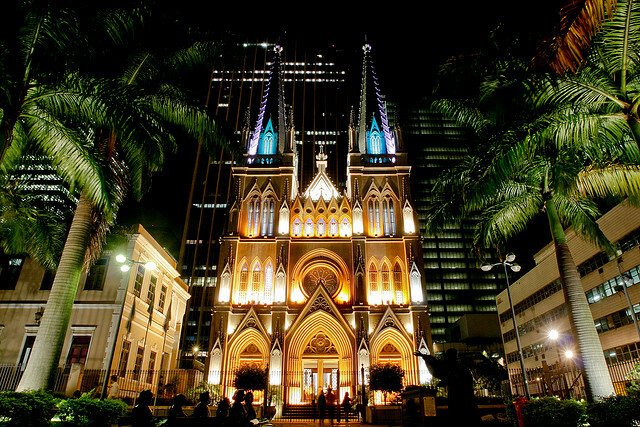 Another church that should be visited is the Mosteiro de São Bento, also downtown Rio. 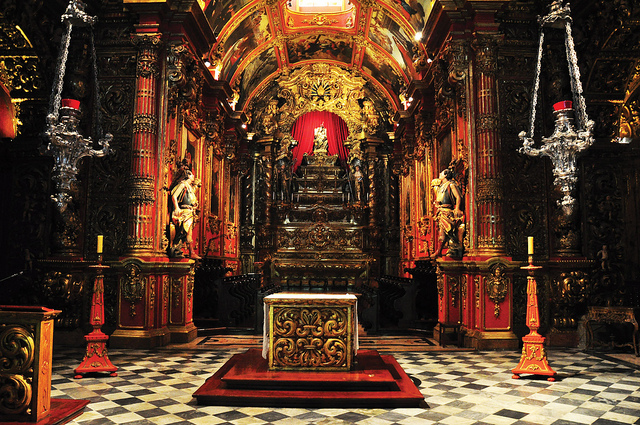 The monastery is all decorated in gold and it is one of the most luxurious church in the country. There are several different Protestant churches in Rio including neo-Pentecostals, Baptists, Methodist and Presbyterians. Most of the protestants can be found in the North with Rio de Janeiro have the largest population of non-Pentecostal Protestants. This is the fastest growing religion in the country and churches are all over the city. The city has a cathedral the size of a stadium in the northern zone: Universal Church Cathedral. 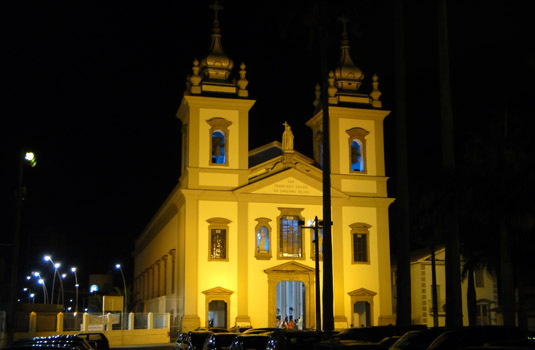 Many traditional churches such as Baptist and Presbyterian have headquarters in the south zone of the city as Copacabana and Botafogo. There are over 1 million members of the The Church of Jesus Christ of Latter-day Saints in Brazil. There is also a large population Eastern Orthodox practitioner in the country. Many came from Syria, Greece, Russia, Lebanon and Armenia. Most of the African religious practitioners of the syncretic religions such as Candomble are located in Salvador, Recife and Rio de Janeiro. The African religions were brought over to Brazil by the African slaves. They were persecuted until 1889 when the government declared separation of the church and state. Other popular religions in the area include Buddhism with approximately 215,000 followers. It was introduced to Brazil when the first wave of Japanese immigrants settled here during the early 20th century. The first Jews were allowed to practice openly in 1824. They came mostly from Morocco. A large group of Jewish immigrants arrived at the beginning of the 20th century trying to escape the Nazis. The largest populations live in Sao Paulo and Rio. There is a small population of Muslims in Brazil made up of mostly Arab transplants. The largest Muslim population is in Sao Paulo.All religions are accepted in Rio de Janeiro and Brazil as a whole. Religious discrimination is not tolerated and everyone is welcome to worship as he or she sees fit.